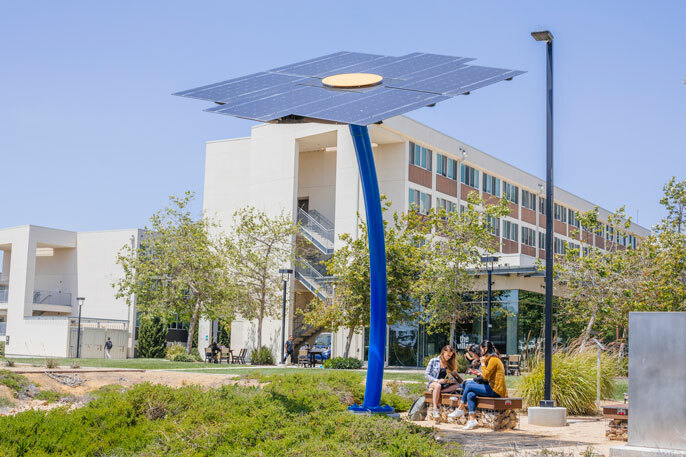 UC named a national leader in renewable energy | Link: UCOP's e-newsletter | Stay Informed. Stay Connected. The U.S. Environmental Protection Agency has honored UC with a 2018 Green Power Leadership Award for its strong commitment to using clean, renewable energy sources. The award was announced on Oct. 10 during the 2018 Renewable Energy Markets Conference in Houston, Texas, where President Napolitano was named the 2018 Green Power Leader of the Year by the Center for Resource Solutions. The award honors her outstanding leadership and influence in support of renewable energy. In a short videotaped acceptance speech, Napolitano called renewable energy critical to environmental sustainability, economic well-being and the security of the planet. UC was one of just five organizations nationwide to be honored by the EPA with a leadership award for direct project engagement, a category that recognizes the bold steps UC has taken to power the 10-campus university system with both on- and off-site sources of renewable electricity, and its contributions in helping to build the market for green power.